Were Hedge Funds Right About Piling Into Baker Hughes, a GE company (BHGE)? 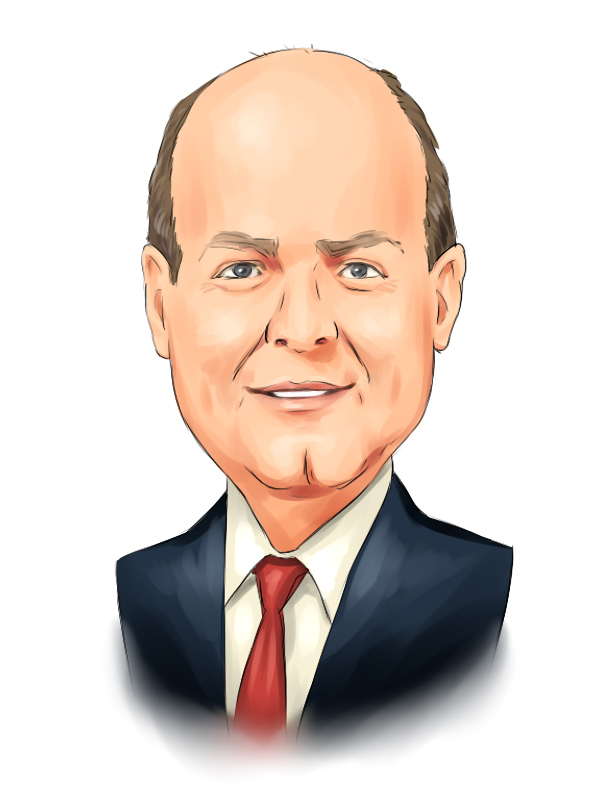 Is Baker Hughes, a GE company (NYSE:BHGE) a good stock to buy right now? Baker Hughes, a GE company (NYSE:BHGE) investors should be aware of an increase in hedge fund interest of late. Our calculations also showed that BHGE isn’t among the 30 most popular stocks among hedge funds. At the moment there are a large number of tools market participants have at their disposal to appraise publicly traded companies. Two of the best tools are hedge fund and insider trading activity. Our experts have shown that, historically, those who follow the top picks of the best money managers can beat the S&P 500 by a significant amount (see the details here). Let’s view the fresh hedge fund action regarding Baker Hughes, a GE company (NYSE:BHGE). How have hedgies been trading Baker Hughes, a GE company (NYSE:BHGE)? At the end of the fourth quarter, a total of 28 of the hedge funds tracked by Insider Monkey were long this stock, a change of 4% from the second quarter of 2018. 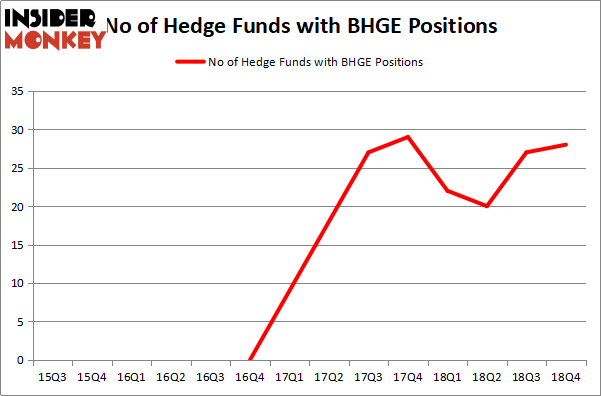 On the other hand, there were a total of 22 hedge funds with a bullish position in BHGE a year ago. With hedge funds’ sentiment swirling, there exists a few notable hedge fund managers who were adding to their holdings meaningfully (or already accumulated large positions). According to publicly available hedge fund and institutional investor holdings data compiled by Insider Monkey, Millennium Management, managed by Israel Englander, holds the number one position in Baker Hughes, a GE company (NYSE:BHGE). Millennium Management has a $218 million position in the stock, comprising 0.3% of its 13F portfolio. On Millennium Management’s heels is Citadel Investment Group, led by Ken Griffin, holding a $88.8 million position; less than 0.1%% of its 13F portfolio is allocated to the stock. Other professional money managers with similar optimism include John Overdeck and David Siegel’s Two Sigma Advisors, Dmitry Balyasny’s Balyasny Asset Management and Jim Simons’s Renaissance Technologies. As one would reasonably expect, some big names were breaking ground themselves. Renaissance Technologies, founded by Jim Simons, established the most valuable position in Baker Hughes, a GE company (NYSE:BHGE). Renaissance Technologies had $28.1 million invested in the company at the end of the quarter. Anand Parekh’s Alyeska Investment Group also initiated a $22.6 million position during the quarter. The following funds were also among the new BHGE investors: Simon Sadler’s Segantii Capital, Thiru Ramakrishnan’s TVR Capital, and Thiru Ramakrishnan’s TVR Capital. Let’s now take a look at hedge fund activity in other stocks similar to Baker Hughes, a GE company (NYSE:BHGE). We will take a look at Republic Services, Inc. (NYSE:RSG), Paychex, Inc. (NASDAQ:PAYX), Halliburton Company (NYSE:HAL), and General Mills, Inc. (NYSE:GIS). This group of stocks’ market values match BHGE’s market value. As you can see these stocks had an average of 32.75 hedge funds with bullish positions and the average amount invested in these stocks was $651 million. That figure was $516 million in BHGE’s case. General Mills, Inc. (NYSE:GIS) is the most popular stock in this table. On the other hand Republic Services, Inc. (NYSE:RSG) is the least popular one with only 30 bullish hedge fund positions. Compared to these stocks Baker Hughes, a GE company (NYSE:BHGE) is even less popular than RSG. This means hedge funds in general weren’t bullish about the stock even though a small number of hedge funds were seduced by potential returns and initiated brand new positions in the stock during Q4. Luckily hedge funds’ other large cap stock picks were also profitable. Our calculations showed that top 15 most popular stocks among hedge funds returned 19.7% through March 15th and outperformed the S&P 500 ETF (SPY) by 6.6 percentage points. A handful of hedge funds were also right about betting on BHGE as the stock returned 30.5% and outperformed the market as well.